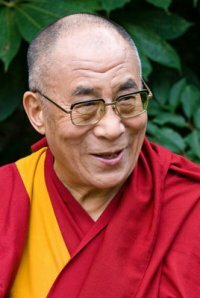 So my friends if Indians try to spread another lies that Lord Buddha was born in India, read this articles and answer them, spitting at their face. I am sick and tired when not one, not two or three Indians but the India as a country itself claims that Buddha was born in India. According to astrologer’s prediction, Siddhartha would grow up to be either a great emperor, or that he would turn his back on privilege and power to become a great spiritual leader. Queen Maya died a week later and the tasked of looking after Siddhartha was given to Prajapati, sister of Maya. Because of the latter predicament, King Suddhodana grew troubled. One of the wise man had told King Suddhodana that “if the prince were to see four signs- a sick man, an old man, a corpse and an ascetic- then he would renounce the materialistic world. Therefore to protect his son from ever coming into contact with four signs, young Siddhartha grew up within the palace walls, having no contact with the outside world. He learns the skills and engaged in the pastimes of princes. King Suddhodana wishing for Siddhartha to be a great king shielded his son from religious teachings or knowledge of human suffering. At the age of about eight, Siddhartha Gautama started receiving his education. Thus at around this age, the young prince curiosity in life began to arouse. This was clearly mentioned by the fact that in some of his field trip to the countryside, he pondered about some question. He noted in the fields how all things live to feed another, how creatures are born only to nourish other orders of beings, how the peasant sweated in the fields and so on. The growing discontent in his life was further fuel one day when he ventured out with his charioteer Channa after finally persuading his father to let him go outside the palace walls to see the city. Though King Suddhodana had ordered the city streets cleared of anyone of human misery, Siddhartha met a dying old man at the side of the road. This was the first of four signs the young prince was destined to meet. He journeyed out into the city several times after his first sight and came across a sick man and a dead man. On his fourth and final sight, Siddhartha encountered a sage that would have the biggest influence on his life. “He is poor, for only rags cover him, and he is old and thin, like the other aged man we came across, yet there is no pain, no suffering in his face”. Though the sage appearance was in dire condition physically, but within him, the sage seems to have found the peace and purpose in life. This was the final convictions that Siddhartha Gautama led to his renunciation of his princely life and began his ascetic life seeking truth about life. While wandering throughout the northern India, seeking to understand the misery and sufferings of the human world, Siddhartha Gautama was joined by five other ascetics. One was Kondanna, the youngest of eight astrologers and fortune-tellers whom King Suddhodana had consulted when Prince Siddhartha was born. The place where Siddhartha Gautama got enlightenment or nirvana was in a village call Uruvela, in the state of Bihar, India. This place is now better known as Bodh-Gaya. It is believed that Siddhartha Gautama became Buddha mediating under the pipal tree. “Because it was under this tree that he was to find enlightenment, it is called the Bodhi-tree (Tree of Enlightenment) and is revered by Buddhists everywhere. Upon reaching nirvana, that is the state of being free from suffering, Siddhartha Guatama is now known as “Buddha” or the awaken one. Still others call him Shakyamuni (“sage of the Shakyas”). It is said that Buddha rested under the Bodhi-tree for seven days after reaching the Enlightenment. After he reached the nirvana or becoming Buddha, Siddhartha Guatama and his five disciples traveled around different Kingdoms in northern India teaching the doctrine of Buddhism. When Lord Buddha and his disciples came to the Kathmandu valley King Jitedasti, 7th King of Kirat dynasty was ruling Nepal. 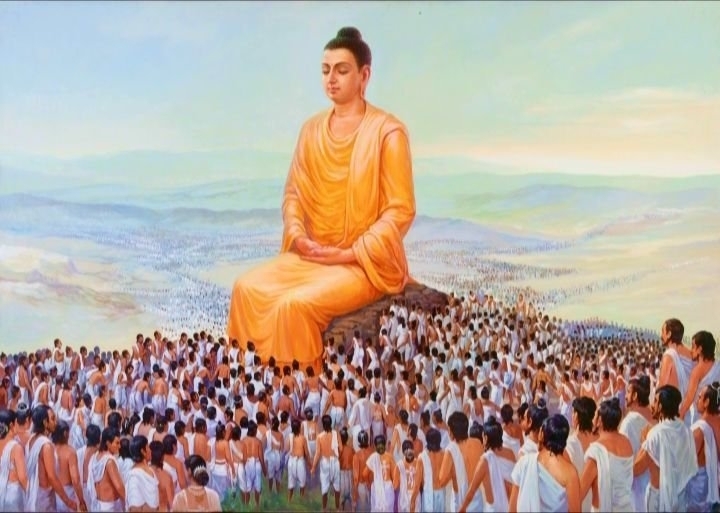 Though Kirats refused to follow his doctrine but still welcomed Lord Buddha and his disciples. Historical record and closely studied on city and town planning, layout and old buildings in the Kathmandu valley showed that Kirat were civilized people of ancient Nepal. Kirati people used brick-stone-metal-wood to build unique architectures like “Kailaskut Bhawan”. Kirat have 18 unique skills like brick, wood, metal, textile, farming, bamboo, building builder, livestock, fish farming, homeopathy, medicine, weaponry, pottery, carving, paper producing etc. that helped to build Nepal in early period. This was all discovered after extensive research and excavation of ancient sites and historical landmarks in Kathmandu valley by various scholars and historians. Sudarshan Raj Tiwari (The brick and the bull: an account of Handigaun, the ancient capital of Nepal, 2002) wrote that Kirati people used to have Law and Order, rules and regulation, government and justice systems. Tiwari and various scholars, historians and archeologist who studied on ancient Nepal concluded that the Kirat had the knowledge of 18 building trade groups, among these the art of brick building, water tanks, drainage system etc. that help to spur Kathmandu ahead. In around 239 BCE the Indian King Ashoka followed the footsteps of Lord Buddha and came to the Lumbini. He ordered the pillar to be built to commemorate his visit. King Ashoka then also came to the Kathmandu Valley with his daughter princess Charumati. At this time, King Sthunko was at the throne. He was the 14th King of Kirat dynasty. During his stay in the valley, King Ashok had built four stupas in four directions and one in the centre of Patan. He had arranged his daughter Charumati’s marriage with a local young prince named Devpal. This is one of the reasons on why Buddhism existed and flourished in Nepal though by 12th-13th century, Buddhism had ceased to exist almost completely in India, the very place where Lord Buddha gaining enlightenment had preached his doctrines before he died. On the other hand Kirat king were very tolerant of the new teaching s that was developing though Kiratis had their own indigenous religion (worshiping of Mother Nature, land and ancestors). In his teachings, the Buddha retained many elements of the vedic religious teachings of India of his time, including the concepts of samsara and karma. However, the Buddhist differed from the vedic teachings in a sense that Buddha opposed the animal sacrifices. In addition the Buddha taught that anyone regardless of caste who followed the Eightfold Path could achieve nirvana. And yes Buddha was not Hindu nor was he Brahmins. He was born into Shakya family, whom are Mongoloid in race. But because the Brahmins realize that Buddha would become major obstacles in spreading Hinduism, the Brahmins cleverly wrote that Buddha was incarnation of Hindu God, Vishnu. Remember how the Brahmins also spread the fictitious myth that the former Shah King of Nepal was incarnation of Vishnu. This entry was posted on August 9, 2010 at 8:48 am	and is filed under Article. You can follow any responses to this entry through the RSS 2.0 feed. You can leave a response, or trackback from your own site. But Kapilvastu has not been declared as a world Heritage site by UNESCO. Only Lumbini has declared as world heritage site. Buddha, was born in Lumbini, which is present day NEPAL. 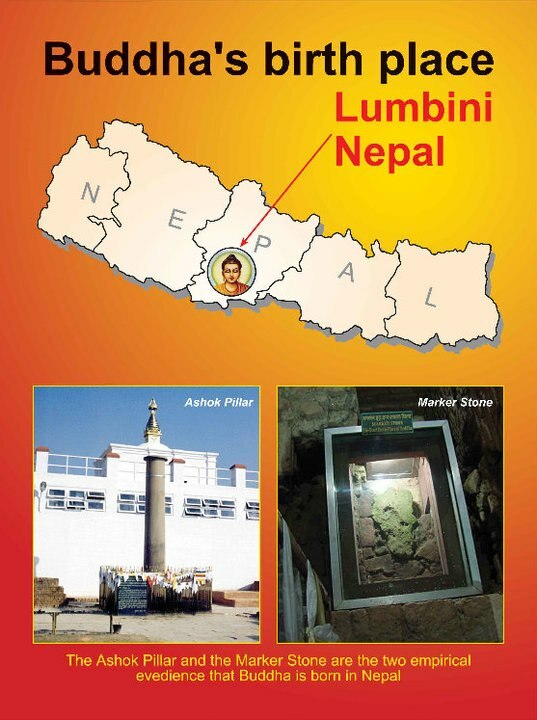 Lumbini was NEVER a part of India. There was no such thing as INDIA or NEPAL when Buddha was born. Every one knows that except for jingoistic Indians who have to create insensible controversies about neighbouring countries time and again in all matters from culture to politics, take their hilarious effort to restore Nepal to a Hindu nation by playing different political and religious tricks for instance. Nepal is the country of Sagarmatha and birth place of Buddha. wow, you must be a genius. India did not exist as a country, what did it exist as my dear sir, when people spoke of India in those days what did they mean ? a park perhaps ? or may be it was an wild animal called India ? a bit of advice, think a little before repeating ad nauseam “standard knowledge” spoon fed to gullible Indians by colonial historians. India as a political entity did not exist (but neither did china, britain or italy or any other modern country for that matter) but we never hear this strange logic with reference to those countries. India the nation, India the country existed long before the budhdha manifested itself. Buddy, he was ksatriya, that makes him a Hindu. And Shakya’s are Indo-European Aryans in race, not Mongoloid! Lame. 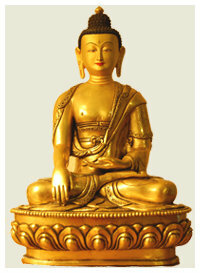 Buddha’s race was Tibeto-Burman origin. Budda was a Burmes. OK? Are you satisfied? shakyans were destroyed by the king of kosala ,during buddhas life end.the shakyas were purest breed of kshatriyas and claimed descent from ishvaku .he was a hindu kshatriya .shakya kingdom was bounded by rapti to the west and rohini to the east .this article is lollzzz funny and written by an ignorant person .buddha died in kasia , kusinagar ,uttar pradesh india..and btw kapilvastu is piprahwa ,siddharthanagar u.p. i dont recognise tilurakot as shakyamunis palace.its because its extremely closed to a river ,and must have been flooded in monsoon,the ruins must have been covered by silt and mud.how come they be still there.also fa hien ,reported that kapilvastu was on bank of river rohin ,on which lumbini and piprahwa lie.there is no rohin river near tilruakot.and tathagat was NOT a mongolid or a chinese or gorkha nothing like that .-my ancestors the kushinagar malla kings ,performed deadth rituals of shakyamuni . buddha–an indo europena aryan,shut the hell up,he is shakya,shakyas are the people in nepal from newar origin,mongoloid origin..
Lol, this is hilarious. The Terai – where Shakyamuni was born – was inhabited by Madhesis and later by Paharis (both of whom are Indo-Aryan groups related to their cousins in UP and Bihar). The Shakyas’ origins are in the Southern plains, closer to Pataliputra than the Kathmandu Valley where the Mongoloids resided. The Mongoloids had always lived in the areas North of the plains of Nepal, and thus it is implausible that Siddhartha Gautama was a Mongoloid, as you claim (without ANY evidence no less). ^The above map shows the distribution of ethnic groups in Nepal, and please note that in what is today known as Lumbini, there are/were no Mongoloid peoples. And honestly, do you seriously think that Lumbini (which is only a stone’s throw away from the Indian border with UP) would harbor Mongoloids? If that were the case, then I would certainly see more of them around Northern UP, but I don’t. Indeed, the first Mongoloid foray into the Terai occurred only much later, long after the Buddha passed away in Kushinagar. These first invaders were the Chhetri and the Newar. Both of these groups are native to the Kathmandu Valley (see ethnic distribution above). Anyway, have a nice life. Whoever He was, we all are related(relatives) .No matter which race you belong to ,tracing back enough,we will no doubt find ourselves that we all come from one source.Scientists say differences are due to nutriitions ,adaption to climate and culture .At the beginning,there was no difference.Peace friends. No matter he was indian or Nepali, but for sure he was caucasian, cause his name, his mother’s name, his kingdom name and his mother language are indo-european language, in the time he was born, only indo-aryan royal members could study Vedas and used bali- sanskrit name. if he was mongoloid he wouldn’t have sanskrit name or did study Vedas, hope this make sense. I have nothing against mongoloid, but it just not true what you said. he was a nagwanshi.. as the pali language and the bihar was the nagwanshi’s kingdom for the time when aryans come and take over all and if he is aryan mangoloid then why still the shakya people are considered as OBC in india.. again name as above rupasri said.. if u read buddha literature u will find out the nagwanshi kings evidences.. kindly study their culture at that time u will definately get the idea how he was nagwanshi..